Use the 150 Milliliter Flow Restrictor with 8 to 20 GPD RO Membranes. 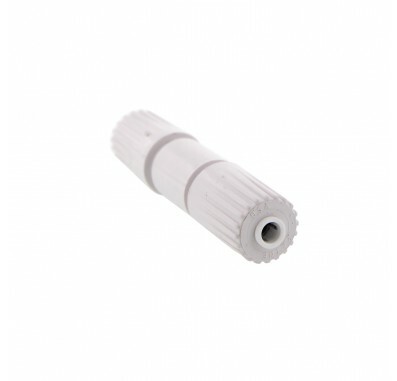 The flow restrictor is used to create pressure throughout the reverse osmosis membrane element. The flow restrictor also maintains a desired ratio of reject flow (to drain) and permeate (product) flow. The 150 ML flow restrictor has the direction of flow and flow rate indicated on the restrictor.